Mrs Bishop had been a girlhood friend of Mrs Lucy G Thurston, who had preceded her to Hawaii as a missionary, some four years earlier. Mrs Bishop died February 28, 1828 at Kailua, the first death in the mission. The missionaries’ house was usually in a thickly inhabited village, so the missionary and his wife could be close to their work among the people; the missionary children were typically cooped up in their home. Sereno Bishop was sent back to the continent at age 12 for education (he graduated from Amherst College in 1846 and Auburn Theological Seminary in 1851,) he married Cornelia A Session on May 31, 1852 and returned to Hawaiʻi on January 16, 1853. After 10-years in Lāhainā, he moved to Hāna and later returned to Lāhainā and served from 1865 to 1877 as principal of Lahainaluna. Mr. Bishop considered the work which he did among the native students at Lahainaluna was among the most fruitful of his life. Bishop was identified as “the well-known mouthpiece of the annexation party” and criticized by royalists for his comments. He remained in Honolulu and died there March 23, 1909. The image shows Sereno Bishop. (1902) In addition, I have added others similar images in a folder of like name in the Photos section on my Facebook and Google+ pages. Krakatau (Krakatoa) was a small island in the Sunda Strait between Java and Sumatra in Indonesia. In April 1883, signs of unusual volcanic activity were observed; then a series of volcanic explosions started about mid-day, with the main eruption (and island destruction) occurring about 10 am local time August 27. The final explosion was audible nearly 2,000-miles away and it produced an infrasonic pressure pulse that was recorded by barographs around the world. The northern two-thirds of the island collapsed beneath the sea, generating a series of devastating pyroclastic flows and immense tsunamis that ravaged adjacent coastlines. So that’s in Indonesia, how does that relate to Hawaiʻi? Rev. 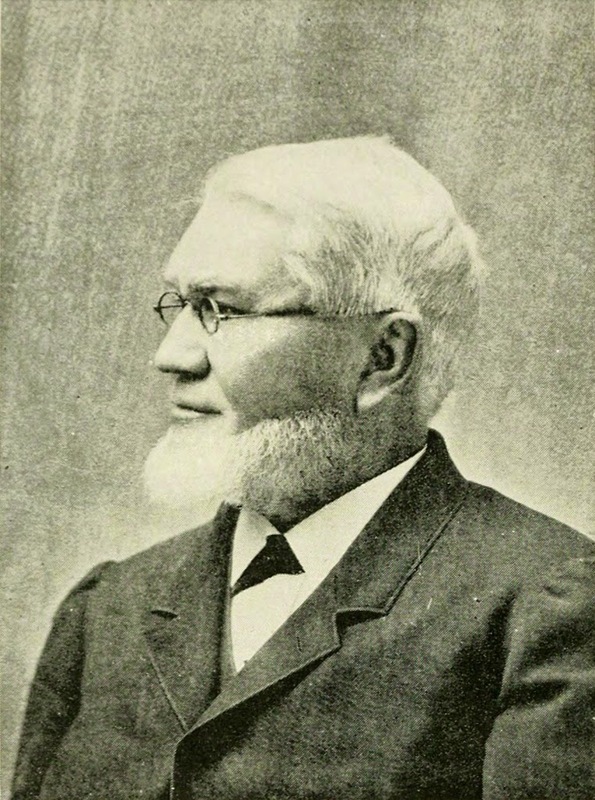 Sereno Bishop, a missionary in Hawaiʻi, was the first to provide detailed observations of a phenomenon not previously reported – he noted his observation on September 5, 1883. Sereno Bishop was born at Kaʻawaloa on February 7, 1827; he was son of Rev. Artemas and Elizabeth Bishop (part of the 2nd Company of missionaries to Hawaiʻi (1823) and first stationed at Kailua, on the Big Island.) His mother died at Kailua, the first death in the mission. Sent back to the continent at age 12 for education (he graduated from Amherst College in 1846 and Auburn Theological Seminary in 1851,) he married Cornelia A Session in 1852 and accepted a position of Seaman’s Chaplin in Lāhainā – he returned to Hawaiʻi in 1853. After 10-years in Lāhainā, he moved to Hāna and later returned to Lāhainā and served from 1865 to 1877 as principal of Lahainaluna. From there, he moved to Honolulu and became editor of “The Friend,” where he lived until his death, March 23, 1909. It is now known that this halo is caused by diffraction of sunlight around the very small spherical sulphuric acid droplets. Since this event, it has generally been known as “Bishop’s Ring,” in honor of its first discoverer. It is typically observed after large volcanic eruptions. In 1896 his alma mater, Amherst College, conferred upon him the degree of Doctor of Divinity, in recognition of his literary and scientific attainments. 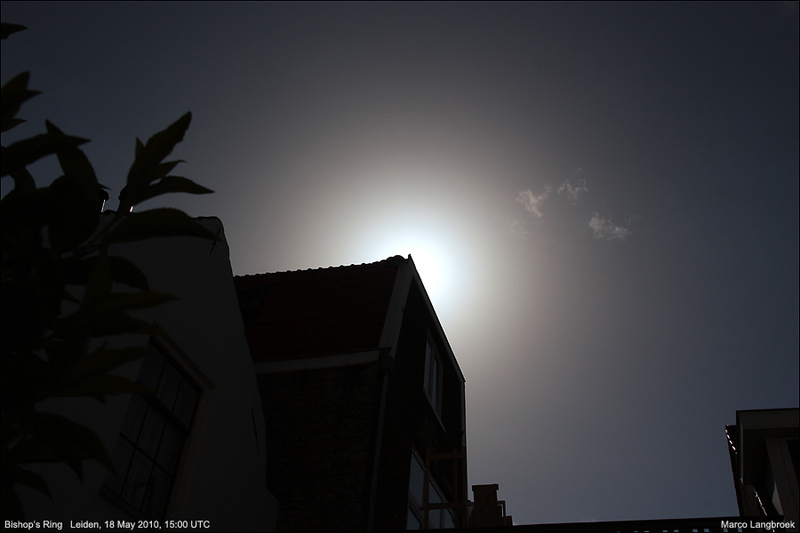 The image shows Bishop’s Ring around the sun due to volcanic ash of the Eyjafjallajökull volcano on Iceland in 2010. In addition, I have added other related images in a folder of like name in the Photos section on my Facebook and Google+ pages.